The “South Georgia Habitat Restauration Project” has been followed in several news posts on this website before. This ambitious project is aimed at getting rid of all rats on the island of South Georgia. Rats are a serious threat for seabirds. Seabird populations on South Georgia have always been impressive, but small in comparison to what they must have been like in times before the whalers incidentally introduced rats to the island. On remote islands which do not have natural predators, seabirds nest on flat ground or in burrows, in any case easily accessible for rats which eat eggs and chicks in massive numbers. After millions of years without rats or other terrestrial predators, seabirds do not have effective mechanisms of defence. 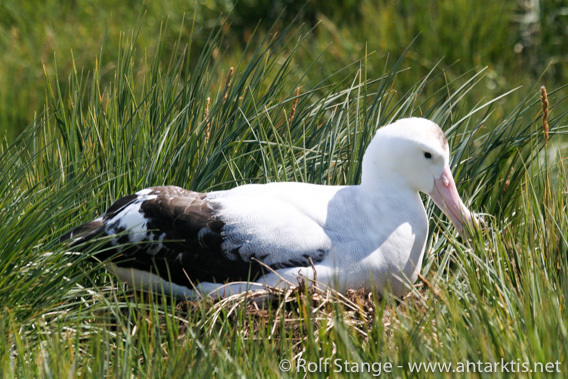 Even large species are concerned: there are observations of Wandering albatross chicks being eaten alive on the nest. The South Georgia pipit has returned quickly to old breeding areas. Eradicating rats is always challenging and even more so on such a remote, wild and big island. It had been done successfully especially by New Zealand specialists on islands such as Campbell Island which belongs to New Zealand. The key technique is dropping poisoned bait from helicopters. The bait and dropping technique including timing are designed to eradicate rats while minimising damage to other wildlife. The main phase was completed in South Georgia in early 2015. As the survival of only one pregnant female rat could ruin the success of the whole project, the subsequent evaluation period is of utmost importance. This phase of intense monitoring has been going on in South Georgia since the completion of the main phase. A comprehensive monitoring expedition has been carried out on South Georgia during the last austral summer season, involving trained dogs and other techniques to make sure no rat could remain undetected. The good news is that “Team Rat” could not find any traces of living rats on South Georgia, as Neil Alison of the South Georgia Heritage Trust (SGHT) could tell the BBC. A SGHT press release declares South Georgia rat-free, for the first time in 200 years! Auch der Wanderalbatros wird von rattenfreien Brutgebieten profitieren. 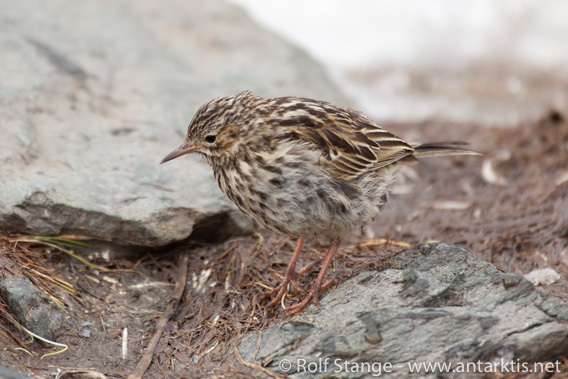 Birds have started to return to their old breeding grounds quickly after the rats were gone, including the endemic South Georgia pipit. Until 2015, it was restricted to a few places like small, rat-free islands. Since then, it has returned to many areas on the main island of South Georgia. Also larger species including penguins and the majestic Wandering Albatross will benefit from rat-free breeding grounds. The SGHT had initiated the project and raised about 10 million pounds that were needed mainly through private donations. Tourists contributed about 200,000 pounds per season through auctions and donations on cruise ships to South Georgia.